NTT Inc. - What are Variable Frequency Drives Used For? Normally an electric motor and the driven machine are exposed to great levels of mechanical stress when the motor gets started across the line. When this happens over a long period, the connected equipment may suffer wear and tear, and eventually, lead to premature failure. However, a variable frequency drive starts from zero and accelerates steadily and this is important, especially in production lines that carry delicate items thus preventing breakage. The centrifugal fan and pump loads that are operated with a variable speed drive helps reduce energy consumption. They do so by cutting the speed of the fan into half, which in turn reduces the horsepower needed. However, the motor continues to run in full speed thus helping you cut on expensive energy utility bills. When power is proportional to the current-times-voltage, the power needed to start a motor across the production line would be higher than with a variable frequency drive. At the starting point, the motor uses up a lot of power and because some systems are at their limit, the high power usage causes power surges. This may lead to unexpected costs such as taxation of your distribution system. However, you can avoid all these problems with a VFD. When you control your motors at an efficient speed for all your applications, there will be minimal chances of error. And this will help increase the production levels and earn your business higher revenues. VFDs help in the elimination of jerks during start-up on conveyors and belts, thus allowing a higher throughput. Your equipment will last much longer and experience less downtime when it’s controlled by a VFD to ensure optimum motor speed. The VFD will have optimal control on the motor’s voltage and frequency. It will provide better protection from some common problems such as phase protection, electrothermal overloads, under voltage and overvoltage. However, when you start an application with the VFD, your motor won’t be subjected to instant shock. It will start smoothly and eliminate gear, belt, and bearing wear. Using a VFD is also an excellent way to eradicate water hammer. Why Train Your Employees to Work with Variable Frequency Drives? Variable frequency drives have changed how industrial motors control and can help you save money and power. Additionally, they are more reliable and flexible, and this explains why they are being used in almost all industries. They will save you hundreds of thousands of dollars that you would have spent on electricity and component wear. However, to maintain these computers, your employees should be able to troubleshoot variable speed drives. Troubleshooting electrical equipment is a major challenge because electrical equipment contains complex electronics. Therefore, increased knowledge is needed to troubleshoot correctly and efficiently, especially when it comes to variable frequency drives, which combine complex electric components and delicate electronic circuits. 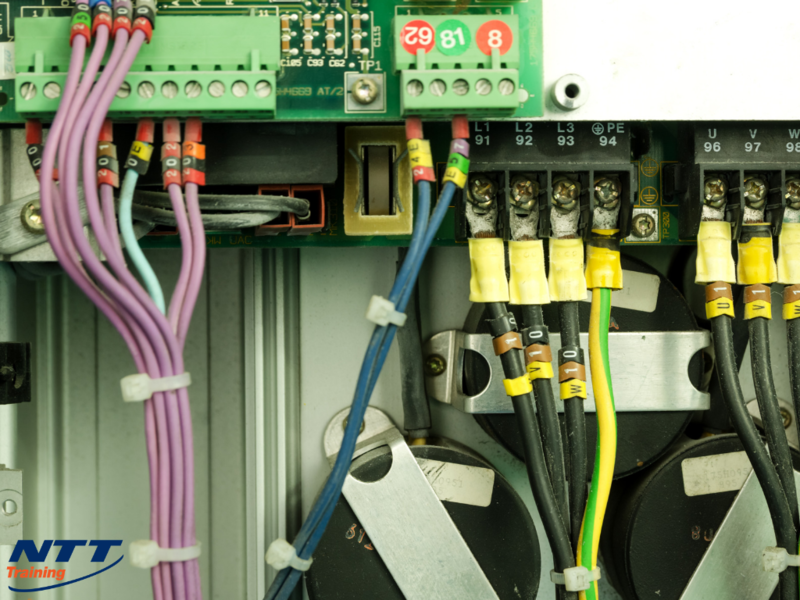 Keep in mind that variable frequency drives are directed by low voltage, low-current circuitry, precision, and they can be sensitive to external disturbances. What’s more, proper VFD operation greatly depends on several exterior factors like the input voltages, dirt, surges, moisture, heat, and the load itself among others. All industrial processes have a period of time that is set aside for maintenance purposes. This can be a simple shutdown period or a regular program. However, most of the maintenance schedules will look at mechanical items such as VFDs, motors, fans, pumps, bearings, belts, chains, and many others. Unfortunately, most people consider VFDs as black box technology, which means it only warrants attention in case something wrong happens. Such an approach often leads to considerable downtime, which directly affects the overall production. Training your employees will ensure they have the knowledge and skills needed to maintain electrical equipment including VFDs. Employing a specialist to conduct VFDs maintenance can be more expensive in the end. What’s more, timely repairs will prevent expensive repairs. Ready to Invest in Employee VFD Training? VFDs will help you in controlling the speed and torque of your AC motor, which will enable you to save a significant amount on energy. You can prolong the VFD lifespan and reduce downtime by bringing your employees up to speed in their knowledge on VFDs by investing in their training. To get started, visit NTT Inc. today.